Specially designed to transfer designs without leaving a wax residue. Simply lay the transfer paper between the image to be copied and the drawing/watercolour paper and outline the image with a pencil etc. The image will transfer to your drawing paper. Lines removed easily with a soft eraser. Available in white (made by Frisk) as well as graphite. 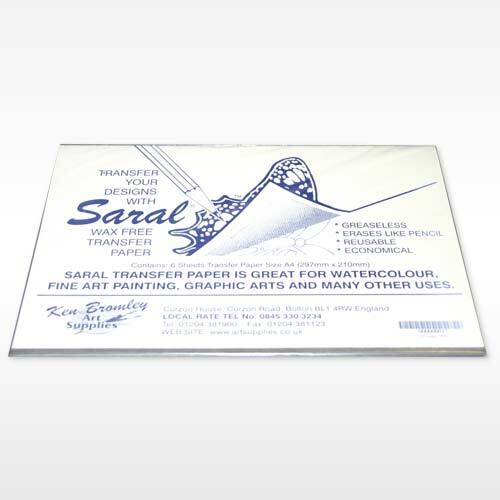 The white transfer paper is used when transfering an image onto dark or black paper. The graphite transfer paper is used when transfering an image onto white or light coloured paper. I've had some for over 8 years!